In the 1970s, an estimated 80,000 elephants roamed the plains of a united Sudan. Civil combat toasted the region's wildlife over the next several decades. Fewer than 2,500 elephants and under 500 giraffes may have remained when war returned to South Sudan in December 2013. 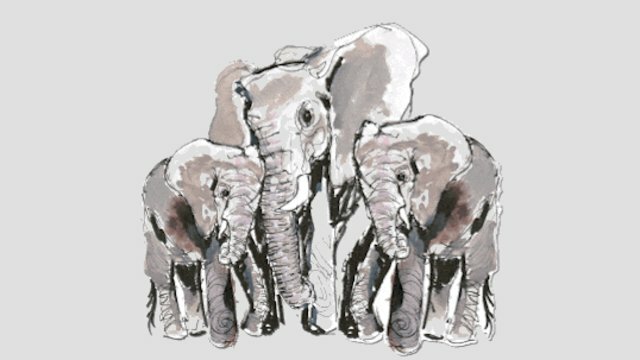 Less than a year and a half later - of the elephants the Wildlife Conservation Society can track via GPS satellite collars - an estimated 30 percent have been slain for their ivory tusks. Elephants aren't the only animals who are caught in the crossfire. 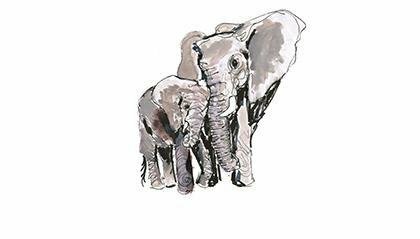 In a 16-month civil war that has killed thousands of people and uprooted nearly 2 million more, soldiers of all stripes - as well as civilians - are slaughtering staggering numbers of elephants, giraffes, tiang antelopes and other precarious species for food and revenue. Before South Sudan's independence, rebel fighters (now the country's official army) had rules to safeguard wildlife. Now, neither the government or rebel troops provide strict protections for animals. 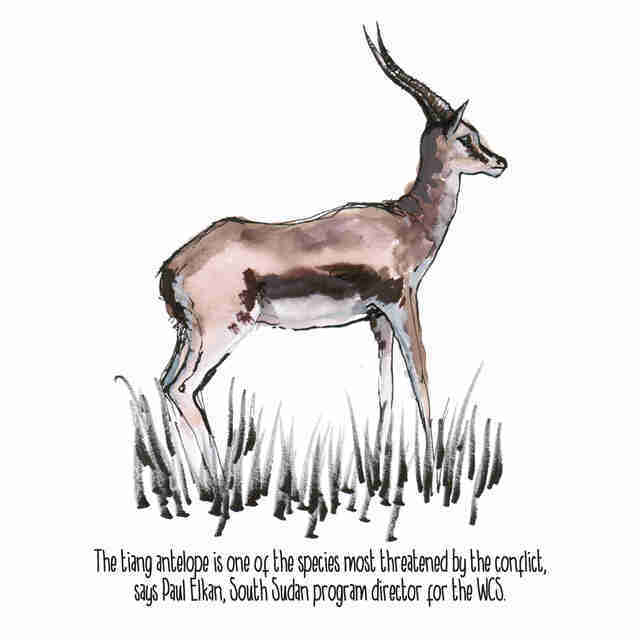 The elephant may be the anti-poaching poster child, but the recent insurrection has most impacted the tiang and giraffe. 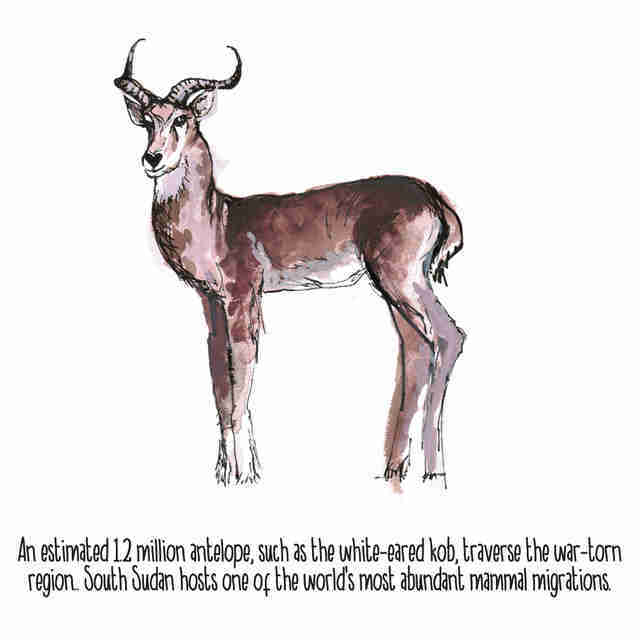 South Sudan is the stomping ground of 1.2 million white-eared kob, Mongalla gazelle and tiang. This massive migration is rivaled only by the wildebeests of the Serengeti. In peacetime, ecotourism could greatly behoove the war-worn country's economy - if its wildlife isn't wiped out first. Follow @TheWCS for updates and click here if you'd like to donate.